Dr. Farritor joined the faculty of the Department of Mechanical Engineering in 1998. Prior to coming to UNL he worked in the Field and Space Robotics Laboratory at the Massachusetts Institute of Technology and the Unmanned Vehicle Lab at the C.S. Draper Laboratories. 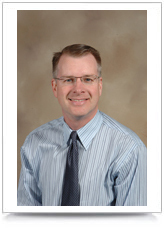 Dr. Farritor has studied at the Kennedy Space Center, Goddard Space Flight Center and the Jet Propulsion Laboratory. He is a member of the American Society of Mechanical Engineers (ASME) and the American Institute of Aeronautics and Astronautics (AIAA) and serves on the AIAA Robotics Technical Committee. Shen, X., Dumpert, J. and Farritor, S., "Robotic Highway Safety Markers," IEEE/ASME Transactions on Mechatronics, Vol. 10, No. 5, October 2005. Platt, S., Farritor, S., Garvin, K. and Haider, H., "the Use of Piezoelectric Ceramics for Electrical Power Generation within Orthopaedic Implants," IEEE/ASME Transactions on Mechatronics, Vol. 10, No. 4, August 2005. Platt, S., Farritor, S. and Haider, H., "On Low-Frequency Electric Power Generation with PZT Ceramics," IEEE/ASME Transactions on Mechatronics, Vol. 10, Issue 2, pp. 240-252, April 2005. Shi, J., Goddard, S., Lal, A. and Farritor, S., "A Real-Time Model for the Robotic Highway Safety Marker System," Journal of Real-Time Systems, Vol. 29, Nos. 2-3, pp. 183-204, March 2005. Oleynikov, D., Rentschler, M., Hadzialic, A., Dumpert, J., Platt, S. and Farritor, S., "Miniature Robots Can Assist in Laparoscopic Cholecystectomy," Journal of Surgical Endoscopy, 19-4: 473-476, 2005. Oleynikov, D., Rentschler, M., Dumpert, J., Platt, S. and Farritor, S., "In Vivo Robotic Laparoscopy," Surgical Innovations, 12-2: 177-181, 2005. Mumm, E., Farritor, S., Pirjanian, P., Leger, C. and Schenker, P., "Planetary Cliff Descent Using Cooperative Robots," Autonomous Robots, 16 (3): 259-272, May 2004. Farritor, S. and S. Dubowsky, "On Modular Design of Field Robotic Systems," Autonomous Robots, Vol. 10, No. 1, pp. 57-65, January, 2001. Farritor, S. and J. Zhang, "A Modular Robotic Infrastructure to Support Human Mars Exploration", AIAA Space 2000 Conference, Long Beach, CA, September, 2000. Bevly, D., Farritor, S. and Dubowsky, S., "Action Planning and its Application to an Experimental Climbing Robot," IEEE Conference on Robotics and Automation, San Francisco, CA, April 2000. Farritor, S., Hacot, H. and Dubowsky, S., "Physics-Based Planning for Planetary Exploration", IEEE International Conference on Robotic and Automation, 1998. Farritor, S. and Dubowsky, S., "A Self-Planning Methodology for Planetary Robotic Explorers", 8th International Conference on Advanced Robotics,Monterey, CA, pp. 449-504, 1997. Farritor, S. and Dubowsky, S., "A Genetic Algorithm Based Navigation and Planning Methodology for Planetary Robotic Exploration", The American Nuclear Society Seventh Topical Meeting on Robotics and Remote Systems, 1997. Farritor, S., Dubowsky, S., Rutman, N. and Cole, J., "A Systems Level Modular Design Approach to Field Robotics", IEEE International Conference on Robotic and Automation, 1996. Farritor, S., Dubowsky, S. and Rutman, N., "On the Rapid Design of Field Robotic Systems", ASME Conference on Design Theory and Methodology, 1996. Kaliardos, W., Cosgrove, M., Chow, T., Steiner, S. and Farritor, S., "Companion - Overview of a Telerobotic Ground Vehicle", Association for Unmanned Vehicle Systems International (AUVSI), 1996. Dr. Farritor is founder and has a financial interest in two start-up companies, Virtual Incision and MRail, that are based on his research at UNL. Please contact Dr. Farritor if you have any questions about this disclosure.